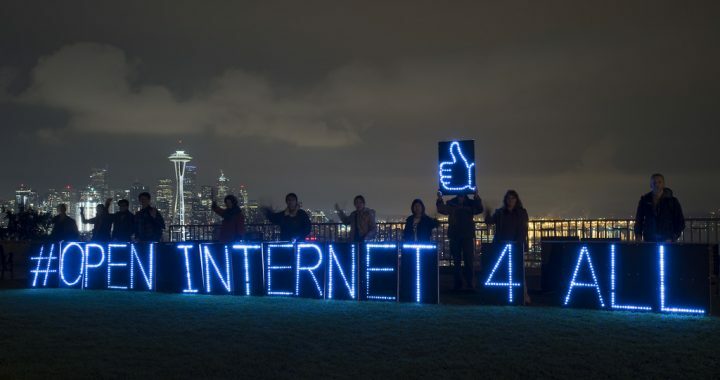 On December 14th, the Federal Communications Commission (FCC) will vote whether to end what is popularly known as “net neutrality.” Citing the previous administration’s “heavy handed Internet regulation,” current FCC Chair Ajit Pai proposes “returning to the longstanding light-touch regulatory framework for the Internet and restoring the market-based policies necessary to preserve the future of Internet Freedom.” Translation: loosen restrictions on cable and telecom companies by repealing rules prohibiting them from charging extra fees, slowing down service, or blocking websites or apps. This threat to net neutrality is producing a great deal of public pushback, including petitions, protests, commentary, and online demonstrations. While this specific issue has galvanized a strong reaction, it is only one of many regulations on the chopping block under the Trump administration. Most of those repealed, however, have not been challenged or even noticed by the growing majority of Americans who oppose Trump. While many are quick to write him off as an incompetent buffoon, it is worth taking a hard look at what has been accomplished in Trump’s short and turbulent time in office. More importantly, it is imperative to look beyond the President to the members of his administration and funders who are quietly putting into place an agenda that relies little on public support or legislative victories—the free market, anti-regulatory stance informed by neoliberal economic policies. While the administration has struggled to make progress through legislative avenues, this does not mean that it has been unsuccessful by other standards. Quite the opposite: over 800 regulations have already been frozen or set to be removed since Trump’s inauguration in what is being called “the most massive deregulation effort the nation has ever seen.” Net neutrality is just one of the many rules about to be eliminated in the interest of corporations set on maximizing their profits. Although millions have been quick to respond collectively to blatantly discriminatory policies such as the Muslim ban or legislation such as the recent tax bill, there has been far less outcry or sustained organizing around the administration’s efforts to eviscerate the regulatory framework responsible for protection of the environment, open communications, and worker and consumer interests. While many across the political spectrum agree that streamlining regulations and removing outdated policies would be beneficial, Trump’s interest is not in improving the regulatory functions of the state, but rather removing as many obstacles to corporate profit as possible. In this agenda, he has the full backing of not only many members of the GOP, but also billionaire libertarians like Charles and David Koch, who have been working toward this goal for over four decades. We are not without alternatives, but in order to stop this dismantling of government in the name of deregulated capitalism, we will need to act fast. One year in, the presidency of Donald Trump appears an abject failure. Not only has he struggled to make substantial legislative gains, he has also damaged diplomatic relations with numerous countries, lost the support of many of his constituents, back-tracked on most of his campaign promises, and put the country at risk of nuclear war. However, it would be a mistake to conclude that his administration has not accomplished anything. Using his executive authority, Trump has rolled back, frozen, and eliminated hundreds of regulations from the Obama era and earlier. Republicans in Congress wasted no time in their efforts to solidify these changes. Within a week of Trump’s inauguration, the Republican-controlled House passed three bills designed to give Congress veto power over all new regulations proposed by federal agencies, including the FCC, the Environmental Protection Agency (EPA), and the Food and Drug Administration (FDA). While these bills have yet to pass the Senate, their tone gives a clear sense that the desire to kill the regulatory capacity of the state goes beyond the White House. The role and influence of Vice President Mike Pence also cannot be ignored. Unfortunately for those who dream of a Trump impeachment, his successor is even more committed to destroying the regulatory and social welfare functions of government (combined with an evangelical opposition to abortion, birth control, and homosexuality). Unlike more dramatic members of Trump’s administration, Pence has remained mostly in the background and managed to stay in the President’s good graces. It is easy to ignore Pence, but it is dangerous to underestimate him or imagine he would be a more sensible or benign President. He is the main link between the Trump administration, the most socially conservative Republicans, and the billionaire donors currently funding the GOP. While he managed to serve in Congress for 12 years without authoring a single successful piece of legislation, he fought against bills to reduce carbon emissions and became an early voice of the Tea Party movement against taxes and government spending. After Pence joined the ticket, Trump began appointing officials with ties to the Koch brothers, especially in positions overseeing regulatory and fiscal policies. The plan to remove the government’s regulatory authority goes back decades, and has been supported by those who would profit most from the elimination of certain regulations. The Koch brothers and their allies have been integral to these efforts, usually through their network of front groups, pseudo-academic centers, and think tanks. Shortly before Trump’s inauguration, for example, the Koch-organized and funded organization Freedom Partners released a short document called “A Roadmap to Repeal: Removing Regulatory Barriers to Opportunity,” which lists the regulations they hope Trump and Congress would immediately address. On the list are many that have already been repealed or are currently in the process of being nullified, such as the greenhouse gas emission reductions laid out in the Paris Climate Agreement, the Stream Protection Rule regarding coal mining permitting, the Clean Power Plan, and the FCC Net Neutrality Rule. And this is only the beginning. To justify this attack on government regulation, Trump’s Council of Economic Advisers released an analysis in October arguing that excessive regulation is a “tax on the economy” and that the burden falls on small businesses, entrepreneurs, and the most vulnerable. The report, titled “The Growth Potential of Deregulation,” suggests that regulations (including rent control, minimum wage, minimum health insurance, pharmaceutical testing, and environmental protections) are in fact the main problem with the U.S. economy. Harkening back to the 1970s and ‘80s when deregulation was at an all-time high, the analysis contends that growth depends on the elimination not only of current regulations, but also on even the suggestion of regulation. Citing several working papers by the Koch-funded Mercatus Center, the report concludes decisively that fewer regulations would increase economic growth and “unleash the economic potential of workers and producers alike.” However, the grim reality is that deregulation will mostly benefit the already wealthy, including corporations involved in fossil fuel extraction, financial companies set to increase their earnings by more than 15%, and telecom companies poised to profit from the removal of net neutrality and merger policies. The position of Trump and his allies is the outcome of decades of policies that we now call neoliberal, shorthand for an economic market based on maximized competition, free trade, elimination of tariffs, privatization of industries, and extreme deregulation. The Trump administration’s anti-regulatory stance is just one manifestation of the neoliberal economic mentality that has been dominant in both Democratic and Republican administrations since the late 1970s. In official documents, regulations are discussed primarily in terms of numbers (how many exist, how much they cost to enforce, how many pages they take up, cost of paperwork, salaries of compliance officers, how many Obama introduced, etc). Rarely are the actual purposes of the regulations presented or examined. This is not an oversight; rather, the translation of regulations into numbers is a key neoliberal technique. Instead of assessing individual regulations for their purpose and function (such as preserving open access to the Internet or protecting the health of workers), they are examined for market value only. Referred to as numbers or through abstract concepts like “red tape,” regulations are never evaluated in terms of their real social and environmental consequences. The Left has unfortunately had little success in combating these policies, or even effectively mobilizing attention or understanding of their effects. There is a danger in focusing on the difficulties Trump has experienced in passing major legislation, and a tendency to see the actions he has taken as simply repealing Obama-era rules and regulations. However, a quick look at the long list of what Trump has undone is alarming in its implications. He has already or is in the process of repealing policies regulating the economy, the justice system, environmental protections, foreign policy and immigration, communications, education, gun control, healthcare, and more without any need for public approval or legislation. Furthermore, he intends to cut regulations that go far beyond those introduced by President Obama. The end goal, which is rapidly becoming a reality, is a deregulated and weakened government that cannot interfere with those committed to perpetuating the vast inequality of neoliberal capitalism. Rather than becoming complacent with the narrative that Trump and his administration are failing, it is time to accept that their main agenda is on track and supported by many members of both parties as well as the billionaire funders calling the shots. With Trump regularly provoking dramatic and insulting cultural and social spectacles, the far less exciting process of deregulation can easily be ignored. However, it is past time to acknowledge the short and long term effects of repealing these rules: continued and worsening climate change, a weakened labor movement, dangerous consumer products, and less oversight of the financial sector. At the current moment, the outcome of the net neutrality vote will indicate whether a resource like the Internet will remain in public control or become another victim of corporate monopolies. One reason deregulation often goes unnoticed or unchallenged is because the effects are generally deferred to the future. Without an immediate impact, it can be difficult to mobilize those who will eventually be affected by the removal of these protections. The role of the Left must be to challenge these policies as well as the neoliberal commonsense that dominates our lives, and which prioritizes the maximizing of individual rights and wealth over collective well-being. This shift in mindset and practices is far from impossible, and could begin with even small short-term strategies to address skyrocketing inequality, environmental devastation, and immense human suffering. A first step will be acknowledging the detrimental effect of removing the ability of government and other institutions to hold in check the worst excesses of corporate greed and malfeasance. We cannot pretend that the Democratic Party will act as a counterweight to these trends; they have supported the same neoliberal agenda as Republicans for decades. A final warning: It is not in the best interest of those opposed to these cuts to use the language of neoliberalism to challenge them (i.e. arguing the financial impact of climate change will be higher than the cost of current regulations). While it is often deemed practical or expedient to adopt the market logic driving Trump and other neoliberal politicians, this is a dangerous move. We need to push back against the trend of translating everything into profit value, and instead argue that a protected environment, dignified labor conditions, safe consumer products, and an open Internet are worthwhile in and of themselves. Posted in NLG Blog and tagged Donald Trump, Neoliberalism.